The Costa Rican airline Nature Air said it is purchasing four new aircraft that will be arriving by year-end, representing an investment of $2.5 million. The LET-L410 type aircraft can carry 19 passengers. The planes will take to the air in December, Nature Air said this week, and will fly to the airline’s 15 destinations in Costa Rica, Panama and Nicaragua. General Manager Gustavo Chinchilla said the new, faster aircraft will significantly reduce flight times on all routes. “Tourists can arrive in 20 minutes to almost any beach destination that by land would take up to 5 hours,” Chinchilla said. In addition, the new planes have increased cargo capacity and more space for passengers. The LET-L410s will add to Nature Air’s current fleet, also allowing for more daily flights. “Our current fleet has a capacity of 160,000 seats per year and our new aircraft will allow us go up to 200,000,” Chinchilla said. He added that in coming months the airline will start offering new charter flights to Ometepe and Costa Esmeralda in Nicaragua. Nature Air also plans to add a new route to David, Panama. 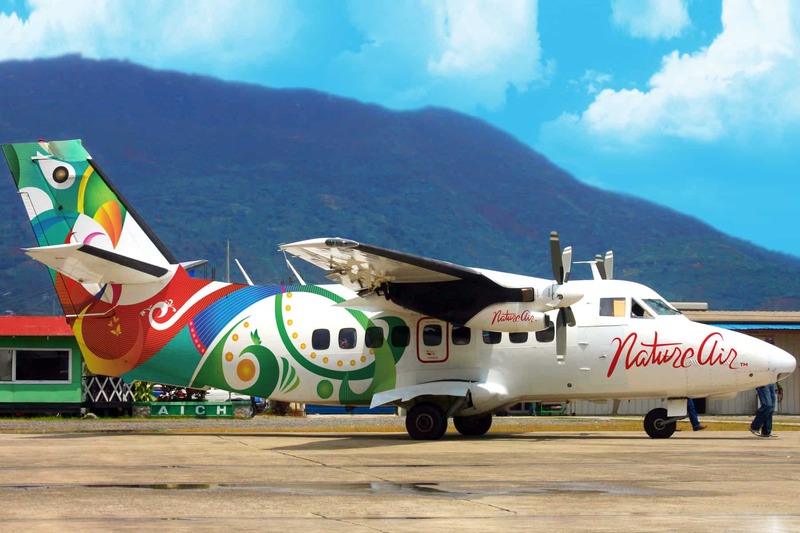 The latest report from Costa Rica’s Civil Aviation Administration states that Nature Air and Sansa, the other company offering domestic flights, transported 83 percent of all passengers who circulated at local airports in 2013. The remaining 17 percent used charter flights from other carriers, private flights or rental planes.